However, the strong wording does not mean that China will start a war against the U.S. in the near future. It is good bluffing as the U.S. is now busy with its trouble in Ukraine and the Middle East and unable to fight a war in Asia, but it is not a real threat because it is crystal clear that China cannot win a war now against the U.S. Even if it can destroy U.S. navy near its coast, the U.S. can easily cut China’s vital trade lifelines in the oceans. Only when China has developed sufficient active defense capabilities can China begin the war. 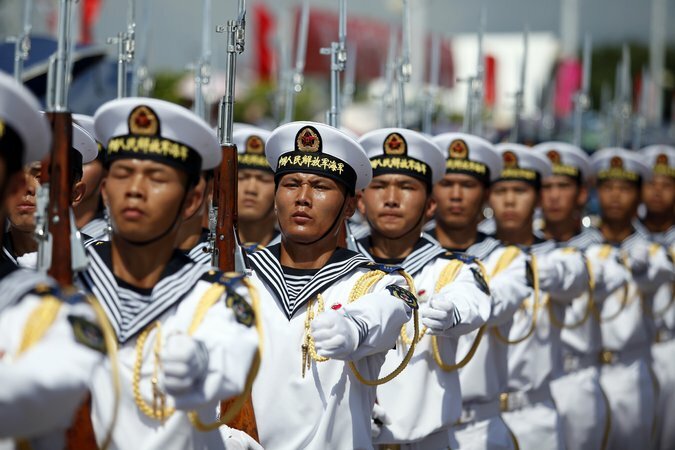 China cannot be sure to win an overwhelming victory even near its coast now as it has not militarized the artificial islands it has built in the South China Sea, which may be controlled by U.S. navy with the heavy fire power of its attack nuclear submarines. Therefore, China has to deploy stealth fighter jets and bombers, air defense systems, anti-submarine aircrafts and helicopters, intermediate missiles, long-range rocket artillery to firmly control the South China Sea. That will take years but the U.S. cannot stop that if it keeps on sending warships and aircrafts into disputed waters and airspace to give China the excuse to do so. Otherwise, there is no urgency for China to militarize the artificial islands. China does not want a war but the one century of foreign bullies it suffered in its history makes its people intolerant to foreign bully. If the Chinese Communist Party fails to respond strongly, it will lose the legitimacy of its rule. I wonder whether the U.S. understands Chinese people’s mentality. It is really difficult for American people to understand such mentality as they have never suffered such trauma of massacre, persecution, oppression and humiliation from foreign aggressors. Heavy pressure will either crush a person or nation or make the person or nation stronger. The pressure from the U.S. is making China stronger as proved by the fast progress of its military modernization and ability to maintain a high economic growth rate. You may say that China is having problems in maintaining its economic growth as the growth rate has decreased, but you shall also see that the decreased rate is still very high according to world standards. Reuters says that the U.S. Navy is expected to keep its technological edge in Asia for decades. That is not true. China is developing better nuclear submarines than the U.S. now and has already developed aircraft carrier killers such as DF-26 and DF-21D ballistic and quite a few advanced cruise anti-ship missiles. The J-20 stealth fighter jets it has been developing will be able to obtain air supremacy near its coast. I can safely predict that there will be no U.S. technological edge in Asia a decade later as Chinese economy will be larger than the U.S. by that time and China will have been investing heavily in its military modernization during the decade. Therefore, if China keeps on rising while the U.S. keeps on declining, China may start a war against the U.S. when it has grown much stronger than the U.S. if the U.S. continues to send its warships and warplanes into the territorial waters and airspace claimed by China. China will not fight until it is ready. Article by Chan Kai Yee as comments on Reuters’ report. The following is the full text of Reuters’ report. China’s naval commander told his U.S. counterpart that a minor incident could spark war in the South China Sea if the United States did not stop its “provocative acts” in the disputed waterway, the Chinese navy said on Friday. Admiral Wu Shengli made the comments to U.S. chief of naval operations Admiral John Richardson during a video teleconference on Thursday, according to a Chinese naval statement. The two officers held talks after a U.S. warship sailed within 12 nautical miles of one of Beijing’s man-made islands in the contested Spratly archipelago on Tuesday. China has rebuked Washington over the patrol, the most significant U.S. challenge yet to territorial limits China effectively claims around its seven artificial islands in one of the world’s busiest sea lanes. Speaking earlier, a U.S. official said the naval chiefs agreed to maintain dialogue and follow protocols to avoid clashes. Scheduled port visits by U.S. and Chinese ships and planned visits to China by senior U.S. Navy officers remained on track, the official said. Both officers agreed on the need to stick to protocols established under the Code for Unplanned Encounters at Sea (CUES). “They agreed that it’s very important that both sides continue to use the protocols under the CUES agreement when they’re operating close to keep the chances for misunderstanding and any kind of provocation from occurring,” the U.S. official said. Indeed, Wu said he believed the Chinese and U.S. navies had plenty of scope for cooperation and should both “play a positive role in maintaining peace and stability in the South China Sea”. A U.S. Navy spokesman stressed Washington’s position that U.S. freedom of navigation operations were meant to “protect the rights, freedoms, and lawful uses of the sea and airspace guaranteed to all nations under international law”. Chinese warships followed the USS Lassen, a guided-missile destroyer, as it moved through the Spratlys on Tuesday. The U.S. Navy is operating in a maritime domain bristling with Chinese ships. While the U.S. Navy is expected to keep its technological edge in Asia for decades, China’s potential trump card is sheer weight of numbers, with dozens of naval and coastguard vessels routinely deployed in the South China Sea, security experts say. Next week, Chinese President Xi Jinping will visit Vietnam and Singapore, while Chinese Defence Minister Chang Wanquan will attend a meeting of Southeast Asian defense ministers in Malaysia that U.S. Defense Secretary Ash Carter is also due to attend. Separately, China suffered a legal setback on Thursday when an arbitration court in the Netherlands ruled it had jurisdiction to hear some territorial claims the Philippines has filed against Beijing over the South China Sea. The court said additional hearings would be held to decide the merits of the Philippines’ arguments. China has not participated in the proceedings and does not recognize the court’s authority in the case. China, facing international legal scrutiny for the first time over its assertiveness in the South China Sea, would neither participate in nor accept the case at the arbitration court, Vice Foreign Minister Liu Zhenmin said on Friday. Liu told reporters the case would not affect China’s sovereign claims in the seas. The Philippine government welcomed the court decision. Solicitor General Florin Hilbay, Manila chief’s lawyer in the case, said the ruling represented a “significant step forward in the Philippines’ quest for a peaceful, impartial resolution of the disputes between the parties and the clarification of their rights under UNCLOS”. We Chinese regard it as a distinguishing character of a hero in the phrase “When he raises his arm and shouts, countless people swarm around him in response”. When the U.S. raised its arm and shouted in early 1950s, almost all the then UN members sent their troops to join the U.S. in fighting the Korean War. The U.S. did not win the war, but was still able to keep half of Korea. When it raised its arm and shouted again in the 1960s in the Vietnamese war, most of its allies instead of UN members sent troops to join it but the U.S. lost its credibility as it lost South Vietnam to the communists. Now, it sent its warship into the 12 nautical miles around China’s two artificial islands for its “campaign of freedom of navigation operations” and to prove its “credibility as an effective (as well as responsible) security provider” according to The Diplomat’s article “How the Rest of Asia Reacted to US Navy Patrol Near China’s Man-Made Island” on October 28. Only three of its five Asian allies Japan, Australia and the Philippines have responded positively. The article says that senior officials of another ally Taiwan “voiced little public endorsement”. As for other Asian nations, Indonesia urges both the U.S. and China to avoid taking actions that may intensify tension, which implies that the U.S. has better avoid such actions. Singapore said long ago that most Asian countries did not take side between China and the U.S. True, even Vietnam and India who have territorial disputes with China have not responded positively and immediately. Perhaps, it was due to U.S. failure to raise its arm and shout. According to the article, it was not after months of hand-wringing that on October 27 the U.S. Navy finally began to assert its right to patrol within 12 nautical miles of at least some of China’s reclaimed features in the Spratly Islands. In its article “China Pushes Back Against U.S. Influence in the Seas of East Asia” on October 28, The New York Times cited Hugh White, a professor of strategic studies at Australian National University, as pointing out that U.S. action was too timid. The destroyer traveled within 12 nautical miles of the new island, and then left quietly and quickly, and American officials were barred from describing it in any detail. It left the opposite impression of being strong in the face of a determined power and allowed the Chinese to move ahead undeterred. So, the U.S. even dares not to raise its arm or shout. It’s no hero at all. 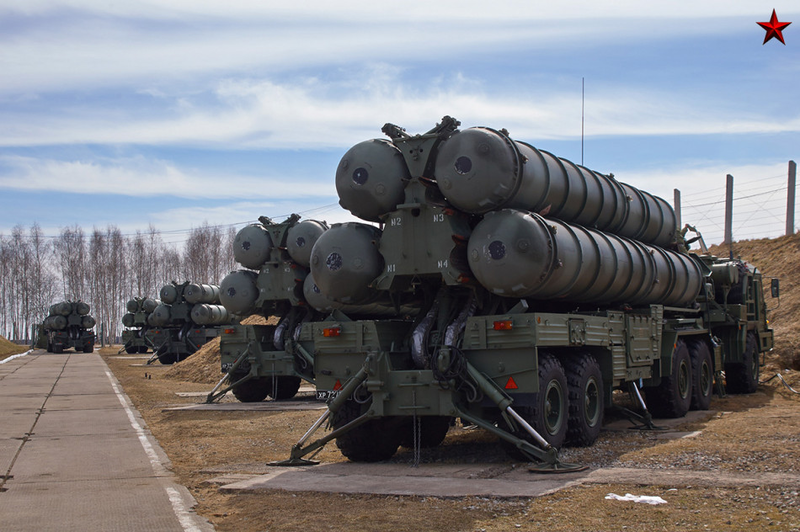 Russian S-400 air defense missiles are Russia’s most advanced air defense system. It has a range of 400 km, can trace 72 and attack 36 targets simultaneously whether as high as 30,000 meters or as low as 5 meters. When a system is moving, it can be deployed for combat within 5 to 10 minutes. China’s official mil.huanqiu.com said in its report yesterday that according to a report by Russia’s state run sputniknews.com on October 27, the chief executive of the Russian state-run arms trader Rosoboronexport told reporters that his company will supply S-400 air defense systems to China according to schedule. He said, “China is the first country that has entered into a S-400 supply contract.” However, he has not given any details of the contract including the specific time schedule of delivery. Sources say that Chinese government signed a contract with Russia in September 2014 for equipping 4 battalions of S-400. A regular S-400 battalion consists of at least eight launchers with 32 missiles and a mobile command post. What he meant by relevant capacity that would make the US actions self-defeating? Obviously it is military capacity. That proves the prediction in my previous posts that US actions would give China excuse to militarize its artificial islands, which is indeed China’s aim in incurring such huge expenses in building the artificial islands but China needs some excuse for the militarization. U.S. naval actions to patrol the disputed waters in fact do no harm to China as long as China can militarize the islands smoothly and control the entire South China Sea with the militarized artificial islands. The U.S. has been too slow and weak in responding to China’s land reclamation. It now can only patrol the disputed waters to save its face but can do nothing to prevent China from control the sea with those artificial islands. In case of a war between China and the U.S. near China, U.S. nuclear submarines have difficulty of maneuver at the East China Sea and Yellow Sea because the waters there are too shallow but can cruise easily in the vast and deep South China Sea. The anti-submarine facilities on and under the water of China’s militarized artificial islands will enable China to kill U.S. submarines there. That is the real problem. Article by Chan Kai Yee as comments on Chinese Foreign Ministry’s press conference. 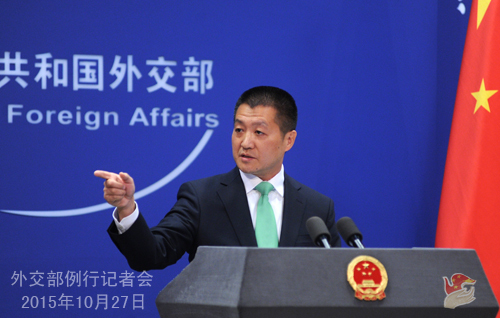 Full text of the Chinese Foreign Ministry’s transcription of the press conference can be viewed at http://www.fmprc.gov.cn/mfa_eng/xwfw_665399/s2510_665401/2511_665403/t1309625.shtml. Is New Type of China-US Relationship Replaced by Confrontation, War? Previously, the U.S. said that it would not take side in the maritime territorial disputes in the South China Sea, but now it is a major party to the dispute and has sent warship in the dispute. However, U.S. excuse of maintaining navigation freedom is but an obvious pretext for its action as China only opposes entry by warship or warplane instead of civilian aircrafts or ships into the very small areas 12 nautical miles around its artificial islands. China has declared that the artificial islands will provide shelters and services for other countries’ ships. In fact, the areas that China refuses other countries military’s entry are not in the way of marine transportation; therefore no U.S. interests are effected. What is America’s real aim in doing so? Does the U.S. want to tell China that by that action, it has put an end to the new type of major-country relationship between China and the U.S. proposed by Chinese President Xi Jinping and accepted by U.S. President Obama? China has repeatedly declared that the sea area within its nine-dash line in the South China Sea is its core interest. Now by challenging China’s core interest with warship, the U.S. certainly tells China that it no longer attaches any importance to the new type of major-country relationship. 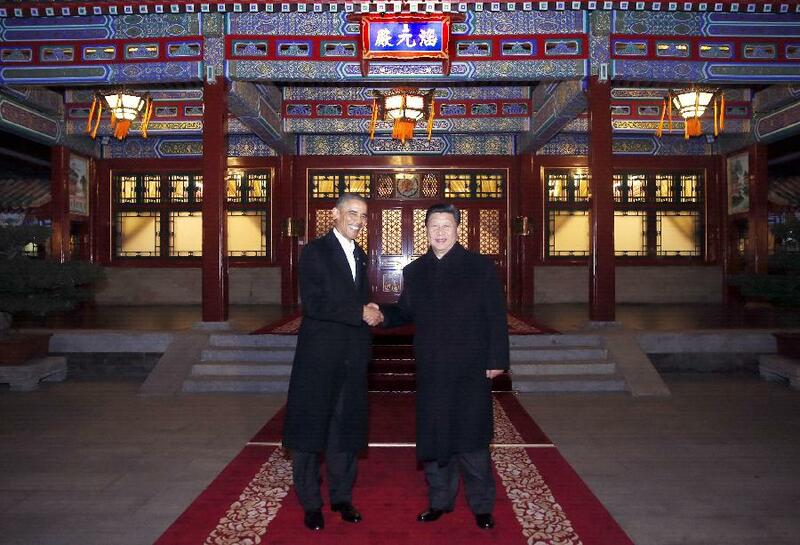 What relationship between China and the U.S. will be then? Confrontation, war? I don’t know. What I am sure is that the rule of the Chinese Communist Party will have no legitimacy if it is unable to defend Chinese sovereignty over the sea area claimed by China since at least the 1940s. When the Qing Dynasty was unable to resist foreign bullies, it collapsed due the rebellion of a brigade of troops. When the KMT refused to resist Japanese invasion from 1931 to 1937, its rule lost legitimacy and its huge army lost to the smaller and poorly armed troops of the Chinese Communist Party. Xi’s Chinese dream shows his wisdom to use such history to gain popularity among Chinese people. Therefore, confrontation? Xi has to conduct. War? Xi has to fight. The question is when he will fight and whether the U.S. wants to fight. Article by Chan Kai Yee as comments on Foreign Policy’s report “China Lambasts ‘Illegal’ U.S. Operation in South China Sea”. Washington sent a U.S. warship through a disputed waterway to show it wouldn’t respect China’s claims to disputed waters. Turns out Beijing didn’t really like that very much. Chinese warships followed a U.S. destroyer sent to disputed islands in the South China Sea to assert the right to free navigation there, while Beijing warned Washington not to take further “provocative” steps that could further roil the unsettled region. After weeks of internal debate in Washington, the Pentagon dispatched early Tuesday local time the guided missile destroyer USS Lassen to within 12 miles of Subi and Mischief Reefs, a pair of underwater atolls that China has transformed into artificial islands over the past year and which now host military-grade airstrips. The U.S. hadn’t sent a vessel that close to the disputed islands in three years. Chinese warships were dispatched to warn off the American vessel during the operation, Beijing’s defense ministry said in a statement. U.S. officials confirmed that Chinese ships shadowed the Lassen during the operation, which lasted several hours. China said the operation damaged trust between the two nations. “We strongly urge the U.S. side to respect China’s national sovereignty and security concerns,” the ministry said, cautioning that the Chinese military “will take all necessary measures” to protect its national security. In an answer to a reporter’s question, Chinese Foreign Minister Wang Yi warned the United States “not to stir up trouble,” and Chinese state-owned media attacked the U.S. mission as a “provocative” and potentially dangerous game of “brinksmanship.” The Foreign Ministry summoned Max Baucus, the U.S. ambassador to China, on Tuesday to formally protest the operation, according to media reports and Chinese state television. An editorial published by Xinhua, the official Chinese press agency, lambasted the U.S. sail-by. “Such provocations threaten to worsen the already gaping deficit of mutual trust between Beijing and Washington, which stems partly from the latter’s frequent close-in air and sea surveillance and reconnaissance against China,” the editorial said. Global Times, a state-owned newspaper, went further in its own editorial. “In face of the U.S. harassment, Beijing should deal with Washington tactfully and prepare for the worst. This can convince the White House that China, despite its unwillingness, is not frightened to fight a war with the US in the region, and is determined to safeguard its national interests and dignity,” said the editorial. The mission, which had been discussed in the media and national security circles for weeks, was welcomed by top U.S. lawmakers who have been urging the Obama administration to take a tougher stance against China’s land grab in one of the world’s most important waterways. Sen. John McCain (R.-Ariz.), the chairman of the Senate Armed Services Committee, called the operation “long overdue,” and called for more such missions in coming weeks. “Going forward, Freedom of Navigation operations should not be sporadic spectacles to behold, but ordinary and consistent demonstrations of our nation’s commitment to uphold the freedom of the seas,” he said in a statement Tuesday. Pentagon officials said Monday that additional freedom of navigation operations will be conducted in the near future, but declined to be more specific. The navy conducts that sort of operation dozens of times each year around the world, but usually in a low-key fashion. Navy officials admitted to Congress last month that they had not carried out the normally routine freedom of navigation operations next to the Chinese-claimed reefs, which drew heavy criticism from lawmakers. Over the past year and a half, China has spent billions of dollars to turn submerged reefs and atolls in the South China Sea into artificial islands, where they have built large airfields and docking facilities. U.S. partners and allies in Asia have for months urged Washington to take a tougher stance against what is seen in the region as a Chinese land grab. The Obama administration had begun weighing the patrols as early as May but had put off the move to allow time for a diplomatic effort to play out. The attempt to broker an agreement over the summer among countries in the region to halt reclamation work failed amid Chinese opposition. And any hope of a deal with Beijing fizzled after talks between Chinese President Xi Jinping and President Barack Obama last month failed to produce a breakthrough. In November, 2013, China created an “air defense identification zone” over disputed islands in the East China Sea. Those islands, known as the Senkakus or Diaoyus, are claimed by both China and Japan. The United States immediately launched a pair of B-52 bombers to fly through and effectively challenge China’s right to fence off parts of the global commons. NOTE: This article was updated Tuesday morning. Enemy forces in the West are trying to “falsify” the history of China’s ruling Communist Party and its military and force a “color revolution” on troops who are too susceptible to outside influences, the military’s official newspaper said on Tuesday. President Xi Jinping has repeatedly reminded the military to be loyal to the party, as he also steps up efforts to fight graft in the army and modernize forces that are projecting power across the disputed waters of the East and South China Seas, though it has not fought a war in decades. In a front page commentary, the official People’s Liberation Army Daily said that unnamed enemies in the West were trying to undermine the military. “Hostile Western forces are sparing no effort to belittle our fine traditions, denigrating our heroes and falsifying our party’s and military’s history,” it said, without giving details. They are “trying in vain to push a ‘color revolution’ to get us to change our stripes”, the newspaper added, referring to popular uprisings that occurred in former Soviet states like Ukraine that swept away often long-established rulers. The party does not look kindly upon any challenges to its official narrative of history over issues like World War Two, which lauds the role of the party in fighting the Japanese, a view often challenged by Western academics and others who say it was Nationalist forces who did most of the fighting. The paper said that as China continued to modernize, its soldiers, who were mostly born in the 1980s and 1900s, were more and more susceptible to “multiple, diverse values and points of view”, a huge challenge to their ability to distinguish right from wrong. “Their understanding and appreciation of our fine traditions is not deep, and their knowledge is insufficient,” it added, again without elaborating. The Chinese military, the world’s largest, has made similar warnings in the past. China’s forces have been shaken by Xi’s war against deep-seated corruption, which has toppled some of the military’s most senior officers. China stepped up a crackdown on corruption in the military in the late 1990s, banning the People’s Liberation Army from engaging in business. But the military has been involved in commercial dealings in recent years due to a lack of checks and balances, military analysts have said. Anti-graft advocates say corruption in the military is so pervasive that it could undermine China’s ability to wage war. Is U.S. Prepared for Intensified Arms Race with China? Reuters says in its report “U.S. Navy to send destroyer within 12 miles of Chinese islands” today that according to a U.S. defense official, a US navy warship the USS Lassen would patrol within 12 nautical miles of the artificial islands on Subi and Mischief reefs today to deny China’s claim to the sea areas within China’s nine-dash line. For China, it will be a very serious provocation as the sea area claimed by China is larger than 3 million square kilometers. Chinese people will certainly respond very strongly due to their Chinese dream for the revival of China as a great nation. They certainly will regard the U.S. move as the continuance of the century of bully and invasion China suffered in the past. U.S. warship’s move will turn into the open the latent confrontation between the U.S. and China. China has begun its arms race with the U.S. since Obama began to adopt its policy of pivot to Asia as it regards the pivot as a trick to contain China. However, China has not grown strong enough now to fight a war with the U.S. Chinese leaders who follow China’s greatest strategist Sun Tzu’s teachings, will not be so stupid as to fight a war with the U.S. now when China is weaker than the U.S. As a result, China will only protest strongly and perhaps send warships to drive away U.S. warships with daredevil near-collision maneuvers. Therefore, the main result of the provocation will be China’s intensified efforts in its arms race with the U.S.
Due to strong patriotism, Chinese military science and technology workers will work with even greater dedication and enthusiasm to enable China to surpass the U.S. militarily within a decade. 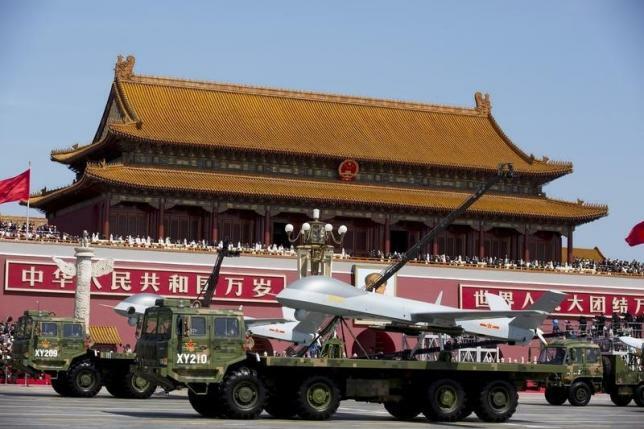 The injection of huge funds into Chinese economy in research, development and manufacture of lots of advanced weapons will infuse stimulus into Chinese economy and stop its slowdown. That being the case, the U.S. is helping China become a superpower stronger than it instead of containing China with the move of its warship. Then the question is: Will the U.S. make similar injection of funds into its military to maintain its military superiority? Is the U.S. willing to have a greater budget deficit? Are U.S. big enterprises willing to pay more taxes? China now does not have substantial budget deficit and can have great contributions from its state-owned enterprises that still dominate Chinese economy. Think about it. What the follow-up actions the U.S. has planned for such moves? The Obama administration has no long-term plan for the U.S. as it will remain in power for less than 2 years. The trouble for any follow-up is the next president’s. The patrols would mark the most serious U.S. challenge yet to the 12-nautical-mile territorial limit China claims around the islands and are certain to anger Beijing, which said last month it would “never allow any country” to violate its territorial waters and airspace in the Spratlys. The ship would likely be accompanied by a U.S. Navy P-8A surveillance plane and possibly P-3 surveillance plane, which have been conducting regular surveillance missions in the region, according to the defense official, who spoke on condition of anonymity. Additional patrols would follow in coming weeks and could also be conducted around features that Vietnam and the Philippines have built up in the Spratlys, the official said. White House spokesman Josh Earnest referred questions on any specific operations to the Pentagon but said the United States had made clear to China the importance of free flow of commerce in the South China Sea. “There are billions of dollars of commerce that float through that region of the world,” Earnest told a news briefing. “Ensuring that free flow of commerce … is critical to the global economy,” he said. The patrols would be the first within 12 miles of the features since China began building the reefs up in 2014. The United States last went within 12 miles of Chinese-claimed territory in the Spratlys in 2012. The decision to go ahead with the patrols follows months of deliberation and risks of significantly upsetting already strained ties with China, the world’s second-biggest economy, with which U.S. business and economic interests are deeply intertwined. China claims most of the South China Sea China, one of the world’s busiest sea lanes, through which more than $5 trillion of world trade passes every year. Vietnam, Malaysia, Brunei, the Philippines, and Taiwan have rival claims. The United States argues that under international law, building up artificial islands on previously submerged reefs does not entitle a country to claim a territorial limit and that it is vital to maintain freedom of navigation. Washington worries that China has built up the islands with the aim of extending its military reach in the South China Sea. The patrols would be just weeks ahead of a series of Asia-Pacific summits President Barack Obama and Chinese President Xi Jinping are expected to attend in the second half of November. Even before that, however, satellite photographs had shown the construction of three military-length airstrips by China in the Spratlys, including one each on Mischief and Subi reefs. Some U.S. officials have said that the plan for patrols was aimed in part at testing Xi’s statement on militarization. In May, the Chinese navy issued eight warnings to the crew of a U.S. P8-A Poseidon surveillance aircraft that flew near the artificial islands but not within the 12-mile limit, reported CNN, which was aboard the U.S. aircraft. 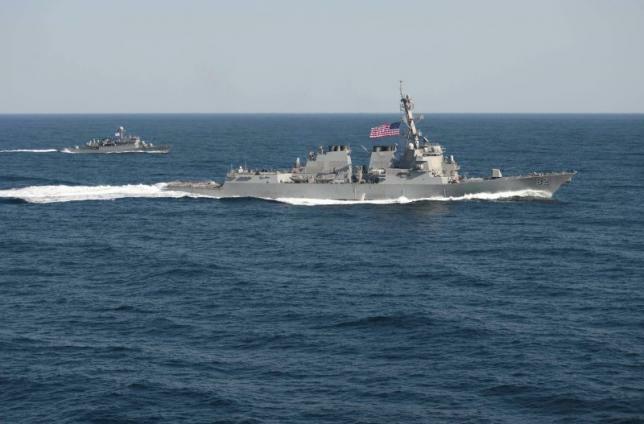 That same month, the USS Fort Worth, a littoral combat ship, “encountered multiple” Chinese warships during a patrol in the Spratly archipelago, the U.S. Navy said at the time. It did not go into detail. In 2013, Obama ordered two B-52 bombers to fly through an Air Defense Identification Zone that China established in the East China Sea over territory contested with Japan. In early September, China sent naval vessels within 12 miles of the Aleutian Islands off Alaska. China said they were there as part of a routine drill following exercises with Russia.